Jim Rooney has been involved in music ever since he first appeared on the WCOP “Hayloft Jamboree” as a teenager in Boston in 1954. He has been a musical partner of banjoist Bill Keith for over fifty years and played an important part in the folk revival of the ‘60’s, managing the legendary Club 47 in Cambridge, Mass, and then becoming a Director of and the talent coordinator for the Newport Folk Festival. Jim also worked as a tour manager and stage manager for the Newport Jazz Festival and produced the first New Orleans Jazz Festival in 1968. In 1970 Jim moved to Woodstock, NY, where he managed the Bearsville Sound Studios for Albert Grossman and was a member of The Woodstock Mountains Revue. Since 1976 Jim has worked in Nashville, TN as a musician, songwriter, recording engineer, Grammy-winning record producer and partner in a successful music publishing company, Forerunner Music. Jim is best known for his record production with Nanci Griffith, John Prine, Iris DeMent, Hal Ketchum, Tom Paxton, Tom Rush, and Peter Rowan. In 2009 he received a “Lifetime Achievement Award” from the Americana Music Association for his work as an engineer/producer. Jim has written two books about music: “BOSSMEN: BILL MONROE & MUDDY WATERS” (JRP Books) and “BABY LET ME FOLLOW YOU DOWN: THE ILLUSTRATED STORY OF THE CAMBRIDGE FOLK YEARS,” co-written with Eric Von Schmidt (University of Massachusetts Press). The year 2014 will see the release of Jim’s memoir “IN IT FOR THE LONG RUN” (University of Illinois Press), which will provide details of the folk music boom of the latter half of the 20th Century — its milestones, personalities, and aftermath — from one who has lived to tell the tale. The International Bluegrass Music Association (IBMA) announced they would be honoring Jim with the DISTINGUISHED ACHIEVEMENT AWARD at their conference Sept 27-29, 2016. Paul’s three solo acoustic CDs, “Steel-String Americana”, “Roots and Branches”, and “From Adamant To Atchafalaya”, received numerous rave reviews for their fresh takes on blues and jazz standards, old-timey country tunes, and original pieces from the “american roots” tradition. Recent appearances include Healdsburg, Woodstock (NY) and Newport Guitar Festivals, MerleFest, Lunenburg Folk Festival, and many other venues. Acoustic Guitar Magazine recently did an article on him, featuring his composition “Chunky Monkey Gumbo”. Paul has taught guitar for over 40 years, including positions at Dartmouth, Skidmore, and other colleges. He presently teaches at Middlebury College and the University of Vermont. 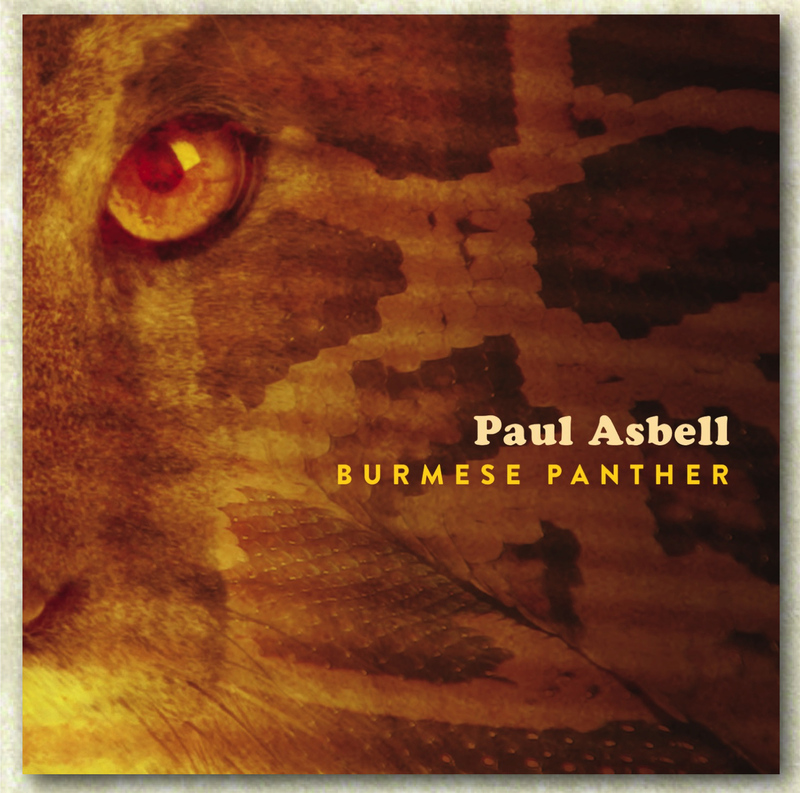 Then on Saturday evening, Paul takes the stage with the Paul Asbell Jazz Trio featuring music from their critically acclaimed recent release "Burmese Panther". Paul is joined by Gabe Jarrett - Drums: A lifelong musician, Gabe began playing music at age 5 and was performing by 12. A NJ/NY native, Gabe studied drum-set/composition at the New School Jazz program in NYC before relocating to New England. As studies with Charlie Persip and Bob Gullotti honed his technique, demand for Gabe as a musical and creative sideman grew. He has joined artists such as Peter Apfelbaum, Joe Lovano, Greg Tardy, Nina Nastasia, Thomas Chapin, Mike Gordon, Page McConnell, Will Bernard, Marco Benevento, Karl Berger and many others for musical performances large and small. Gabe has performed internationally at venues including the North Sea Jazz Festival in Rotterdam, Holland; The Fillmore in San Francisco, CA; High Sierra Music Festival in Quincy, CA; Bonnaroo in Manchester, TN; the Gramercy Theater in NYC; and the Willisau Jazz Festival in Willisau, Austria. When at home in VT, Gabe teaches music/percussion at SUNY Plattsburgh, Johnson State, and Saint Michael's College. Clyde Stats - Acoustic Bass - Clyde "cut his musical teeth" performing with a variety of blues artists such as Howlin' Wolf, Buddy Guy, Junior Wells, and Otis Rush in Chicago in the 1960's, which is where he first met and played with Paul Asbell. Since settling in Vermont in 1978, he has played every style of popular music from bluegrass to r&b to jazz with groups such as Banjo Dan and the Midnite Plowboys, Pure Pressure, the Sneakers Jazz Band, and the Will Patton Ensemble. Clyde is also a Senior Lecturer in the Department of Music and Dance at UVM, where he teaches courses in the History of Rock and Roll, Blues and Related Traditions, Introduction to Jazz History, and Music and Culture of New Orleans, both online and in the classroom. Paul and Clyde’s musical partnership has spanned over 50 years! Vermont's own trad-roots power trio! Composed of acclaimed musician Pete Sutherland, his talented protégé Oliver Scanlon and the uber-dynamic Tristan Henderson, Pete's Posse never fails to surprise and excite! Twin fiddles in tight, wild harmony over high-powered guitar and pounding foot percussion with mandolin, clawhammer banjo, jaw harp, rocking keyboards, and soaring vocal harmonies adding color to the Posse's sonic landscape. Since 2014 the Posse has racked up over 150,000 miles of touring, released 5 albums, and played numerous festivals including Shetland Folk Festival, Festival Memoire et Racine, New Bedford Folk Festival, and more! The Posse's signature is variety: all multi-instrumentalists, the band plays a dynamic repertoire of folk-roots genres; songs and tunes, traditional and original. For over four years they've been bringing their brand of ‘Neo-Traditional Folk’ to festival stages, dance halls and concert series across the US, Canada and Europe. is pleased to welcome back Pete's Posse! “Marshall & Jones are not to be mistaken for anyone or anything else. More than ordinarily gifted, they find new truths in a musical style already notably devoid of falsehoods. Erynn Marshall is an old-time fiddler who lives in Galax, Virginia and is known internationally for her traditional music. Erynn learned the nuances of Appalachian old-time fiddling from rare recordings and visiting 80-95 year-old southern fiddlers. Still she puts her own spin on the traditional music she plays – sounding authentic, archaic and transportive while playing in a smooth and effortless way. Her tunes are becoming common repertoire in fiddle circles. Erynn won 1st place fiddle at “Clifftop” (The Appalachian Stringband Festival) and was the first woman to do so. She has recorded six albums and appeared in five films (Voices of Virginia, the Clifftop Experience I’ll Fly Away Home, Conversations with Old-Time Musicians,” plus the upcoming Never Met a Stranger). She is coordinator for Swannanoa Old-Time Week near Asheville, NC. is pleased to welcome back Erynn Marshall & Carl Jones! Bob Amos’s new CD Sunrise Blues was released at a special concert last June to a packed house of over 300 people in St. Johnsbury Vermont. This new album includes 10 original compositions plus new versions of two bluegrass classics. Initial reviews have been terrific! 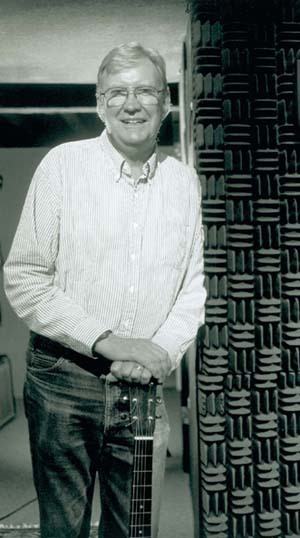 From 1988-2004 Bob was the lead singer, guitarist and guiding force behind the internationally acclaimed bluegrass band Front Range, which recorded 7 CDs, including 5 for famed acoustic Indie label SUGAR HILL RECORDS. Front Range toured throughout America and Europe, and received heavy airplay on Acoustic, Americana and Bluegrass radio stations. Their CD One Beautiful Day won the International Bluegrass Music Association’s Gospel Recording of the Year in 1995. Bob’s current band, Bob Amos & Catamount Crossing features lots of Bob’s terrific original material, plus some innovative arrangements of classic tunes and songs. Bob’s daughter Sarah Amos plays a big part in the band’s signature big vocal sound, and their duets are proving to be big hits in their performances! Take a little bit of folk music and mix it with acoustic blues, Western swing, and vintage jazz from the 1920s and ‘30s, and you end up with Annie and the Hedonists. “Annie’s versatile, vintage-tinged voice is the perfect match for the Hedonists’ ace musicianship” “Jazz, blues, country, folk, bluegrass ... it's all here." ---Albany Times Union Known for its dynamic lead singer and the tight harmonies and superb musicianship of the Hedonists – the band interprets the songs of the great female blues artists of the 1920s, 30s and 40s, including Bessie Smith, Sippie Wallace, Memphis Minnie, Ma Rainey, Billie Holiday, and Ella Fitzgerald. 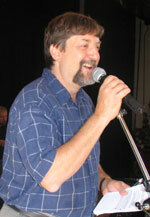 "Everybody had a grin all night long," says Ithaca radio host Phil Shapiro of an appearance on his show Bound for Glory. "They'd slip seamlessly from old jazz to gospel, to country, to even a couple of Dylan songs. They know how to connect all this music, and do it so it's pure magic." The dynamic father-son team Ken & Brad Kolodner weave together a captivating soundscape on hammered dulcimer, banjo, fiddles and vocals pushing the boundaries of the American Old-Time tradition into uncharted territory. 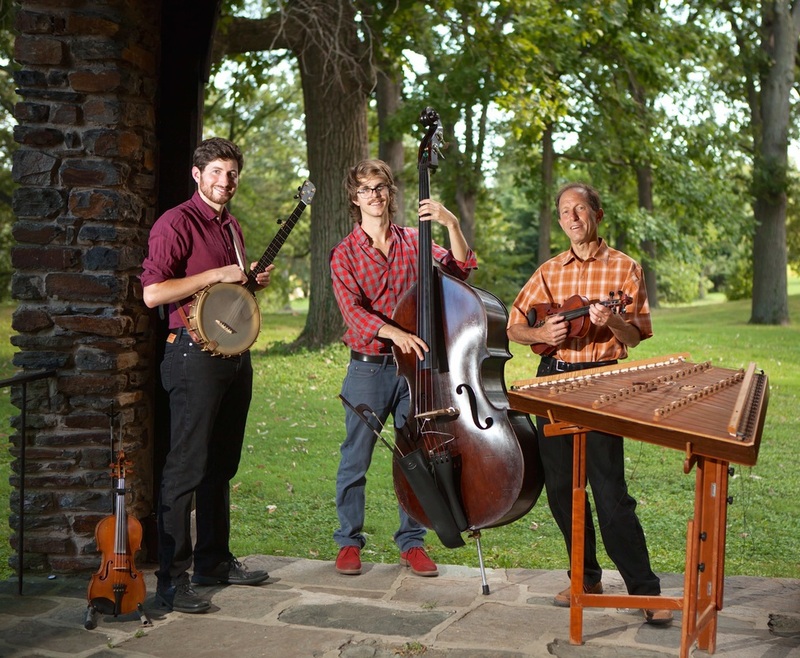 Regarded as one of the most influential hammered dulcimer players and Old-Time fiddlers in North America, Baltimore’s Ken Kolodner has joined forces with his son Brad Kolodner, a rising star in the clawhammer banjo world. Together, they infuse their own brand of driving, innovative, tasteful and unique interpretations of traditional and original Old-Time tunes and songs with a “creative curiosity that lets all listeners know that a passion for traditional music yet thrives in every generation.” They regularly perform as a trio with bassist Alex Lacquement who is one of the most in-demand and versatile bass players in the Mid-Atlantic. The Swift House in January 2017. The new recording features Ken & Brad with Rachel Eddy and Alex Lacquement. Concert appearances for Ken & Brad include performances at The Kennedy Center, The Walnut Valley Festival, The Old Songs Festival, The Birchmere, The Charm City Folk and Bluegrass Festival, The Champlain Valley Folk Festival, and The Creative Alliance as well as numerous live radio broadcasts, concerts and festivals along the Eastern seaboard from North Carolina to Vermont and across the country from Wisconsin to Arizona. Prior to performing with his son regularly in 2009, Ken toured and recorded for many years with the legendary world music trio Helicon with Chris Norman and Robin Bullock. “There must be something special to that father-son thing." - Sing Out! is pleased to welcome back The Ken & Brad Kolodner Trio! Presenting American roots music, blues and bluegrass, the Primal Boys are Russell Seeger, guitar, and Jason Bergman, fiddle, with special guest percussionist Larry Eagle. 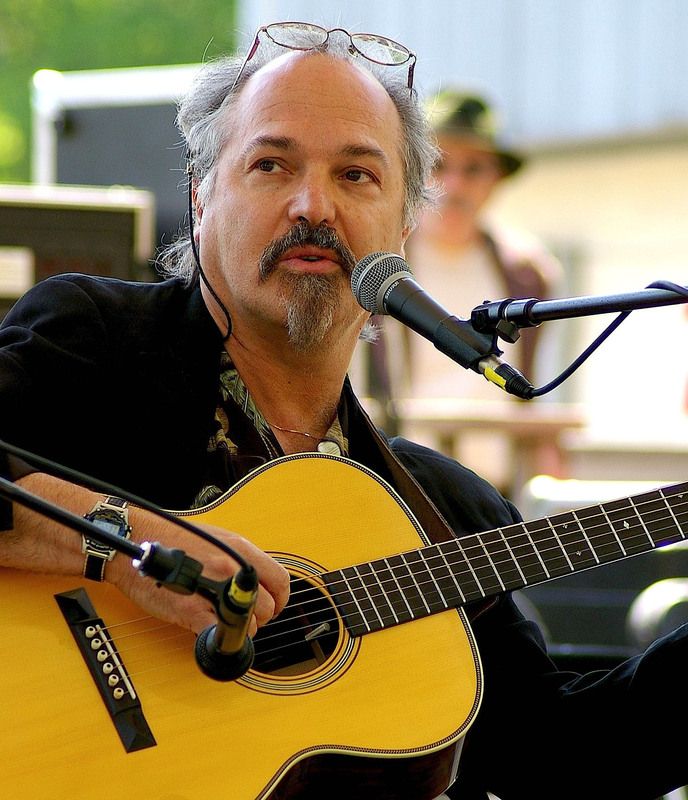 Seeger is a talented songwriter and guitarist who’s been around the New York scene the 1970s when he was a member of the Sheiks. He recently released “Live in Peace” on Paradiddle Records, and had appeared on their Bob Dylan and the Kinks tribute albums. As a member of the Last Hombres, Seeger has toured the US, recording the album “Redemption” with drummer Levon Helm. Seeger has also performed with the Kennedys, Peter Rowan, Vassar Clements, John Hartford and Paul Seibel. Bergman became a Barnet resident after performing on five continents as half the New York duo Jason ‘n’ Grayson. Here in Vermont he has been a member of Banjo Dan and the Midnight Plowboys, and the Woods Tea Company, as well as recording and performing with Colin McCaffrey, Patti Casey and Patrick Ross to name a few. Bergman is also a member of the Vermont Philharmonic and the Montpelier Chamber Orchestra. He has a thriving presence as a music teacher at the St. Johnsbury Academy and at his studio in Barnet. Drummer and percussionist, Larry Eagle keeps his musical portfolio diversified. He’s a founding member of Bruce Springsteen’s Seeger Sessions Band (Grammy winner for traditional folk music) and played drums on pop star John Legend’s Grammy nominated second album. The 2013 Andy Statman album Superstring Theory is a quintet record featuring Andy Statman, Jim Whitney, Eagle and special guests Tim O’brien and Michael Cleveland. Eagle had recorded albums with artists as diverse as country\bluegrass superstar Ricky Skaggs and powerful jazz\soul singer Lizz Wright. Eagle has performed on the Tonight Show, Late Night with Conan O’Brien, Good Morning America, PBS, the BBC and an ice-breaking Baltic Sea ferry out of Naantali, Finland. Three friends coming together as a trio to produce a special blend of British Isles songs and tunes. Sarah Blair began playing Irish music in Rhode Island’s thriving traditional music community and honed her playing in the sessions of Boston. She has played and sung in “The Sevens” and Boston-based “Long Time Courting”. Currently she teaches private lessons in Montpelier and at camps and workshops. Her lauded recording “Flower of the Red Mill” was released in 2007. Jennifer Curtin, now from Washington, VT, grew up in Tennessee singing harmonies with her family. Discovering a love of Celtic music in her teens, she has been hooked ever since. She was in the DC-based duo “Clishmaclaver” in the early ‘90’s. Taking a break for nursing school and children, Jen is happy to be back performing the music she loves. Her 2011 album “Comfort for the Comfortless” won the Tammie Award for Best Trad. Album of the Year. No stranger to the PAMFest stage, Colin McCaffrey is well know throughout Vermont for his singing, songwriting, multi- instrumental skills and record engineering and producing. A native Vermonter, he has been singing and playing piano, guitar and violin since childhood. He can be heard playing and singing with his current group “Stone Cold Roosters” as well as on multiple solo recordings. Steve Zakon-Anderson has been calling contras, leading workshops for callers and teaching couples dance for over 25 years. He has performed at dance camps and festivals in 36 states, including Pinewoods, Ogontz, Buffalo Gap, Lady of the Lake, Augusta and Brasstown. His own dance compositions are well known to dancers and other callers. Steve's clear teaching, energetic calling and sense of humor have made him a favorite of dancers of all ages and abilities. Here’s a special treat for you: Banjo Dan and Willy Lindner – known throughout the Northeast as the Sky Blue Boys – teamed up with a dynamic and entertaining musician who adds a new instrument (the upright bass), new styles (the blues, some funky jug band music, plus a hint of jazz), and even a new gender to “the Boys’” performances. Carrie Cook brought her talents to The Sky Blue Boys for a few shows in 2017, and it clicked! The trio is now an option for promoters looking for a unique, authentic, and appealing program. “Cookie” more than filled the bill. A bassist who played with the New York All-State Orchestra at age 16, she grew up surrounded by music, learning jazz from her father, classical music from her mother, and rural acoustic styles from her uncles. She played with Pete Seeger on his storied sloop, the Clearwater, and in Vermont appears regularly on the infamous Groundhog Opry as well as Cookie’s Hot Club and Girls’ Night Out. Now she’s found another home with The Sky Blue Boys & Cookie. the southern Appalachians. Combining their fresh interpretation of time-tested traditional material with a wealth of original songs, these musical veterans blend soulful ballads, tight vocal harmonies, and hard driving instrumental work into a sound evoking the spirit of the early Stanley Brothers and Bill and Charlie Monroe. The Bayley-Hazen Boys are as authentic as their namesake - the military road constructed during the Revolutionary War from Newbury to Lowell. With an energetic and entertaining stage presence, the “Boys” add a fun element to any show. Historical stories and yarns about musicians (famous or not) provide the background to their music. Explanations of the creation of the original songs are fascinating to listen to. Audiences large and intimate, young and old will love the interaction with the band. Gary, Chris and Steve founded the well-known bluegrass group “Gopher Broke Bluegrass”. Gopher Broke recorded three albums, appeared at festivals, public and private performances throughout New England (and beyond) from 1999 to 2009, and were recognized as “one of Vermont’s genuine artistic treasures” by Bluegrass Unlimited magazine. The Bayley Hazen Boys continue this level of professionalism with their distinctive old-time bluegrass mountain music, a style becoming increasingly scarce today. Be sure to pick up a copy of their very well received 2013 CD "Another Blue Ribbon". Bluegrass Unlimited says: "This unassuming recording grows better with each listening. It’s like staring at the woods—the longer you look, the more you see. The longer you listen, the more you hear!" Presenting all original compositions, Aura Shards features a selection of hand pans in different keys and styles, accompanied by an assortment of percussion and drone instruments. the size and complexity of the sound belies the number of instruments involved, weaving complex soundscapes that are at once both rhythmically intricate and engaging, yet also meditative and soothing. In fall of 1980 some dedicated dancers got together at a workshop on Garland dancing taught by Dr. Tony Barrand. The group kept dancing together and due to one member’s dance experience the focus shifted to Cotswold Morris dancing. After a vote to name the Team in early 1981 the Midnight Capers was born. The Midnight Capers danced several traditional Cotswold village styles until 1986 when founding member Larry Becker with choreographic help from Lisa Ginett brought out a new tradition called Kingsbury Branch. The Midnight Capers have written many dances in this style and danced our own Kingsbury Branch almost exclusively since that time in many locations in New England in various performances and on many tours with other New England teams. We hope that you will enjoy our great dances!